Stackable Managed Layer 3 Gigabit Switches for Enterprise. 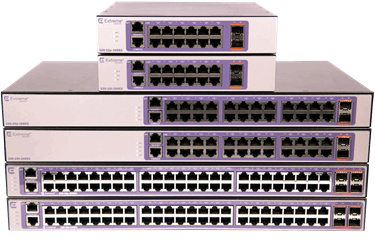 The ExtremeSwitching 220 Series is an economical, fixed-configuration family of Gigabit Ethernet Layer 2/3 switches designed for enterprises, branch offices and small to medium-sized businesses looking for key features in a flexible, yet easy-to-manage solution. The series consists of six switches including 12-, 24-, and 48-port Gigabit Ethernet switches and 12-, 24-, and 48-port Gigabit PoE+ models. All models provide non-blocking Gigabit per port performance and include either 2 or 4 SFP+ ports for high-speed 10Gbps fiber connectivity. In addition, the 12-port PoE+ and non-PoE+ models can operate in fanless mode, making them ideal for office deployments. 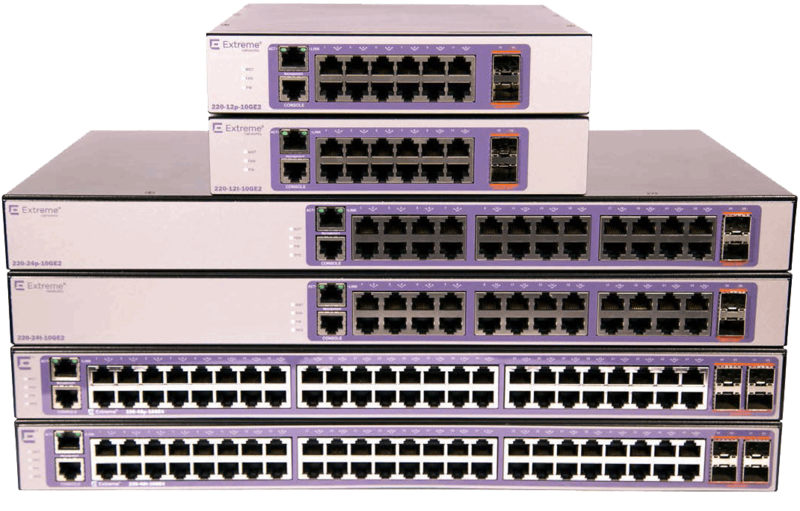 In addition to a rich Layer 2 feature set, the 220 Series offers dynamic IPv4 RIP routing services, stacking of up to 4 switches with single IP management, and redundant power supply option.